Once reserved only for governments and academia looking to solve the most complex computational problems, High Performance Computing (HPC) is now transforming many traditional sectors that are in need of supercomputer-like capabilities to gain real-time insights from increasingly large and complex data sets. 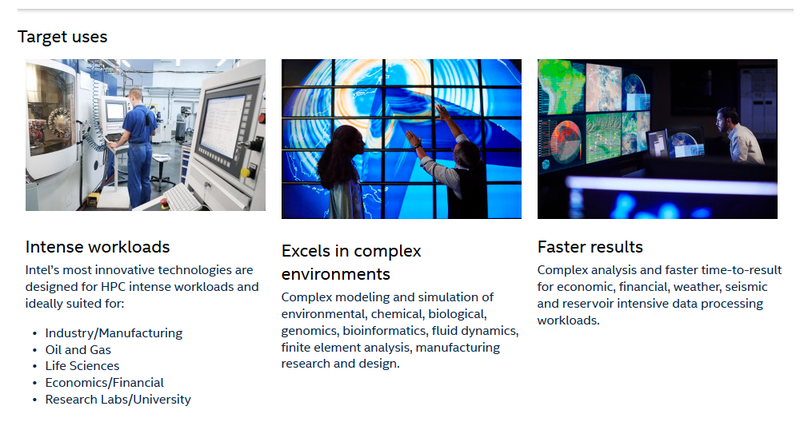 To meet this challenge, Intel is evolving traditional HPC computing limits with Intel® Scalable System Framework - a flexible blueprint for developing high performance, balanced, efficient and reliable HPC systems. 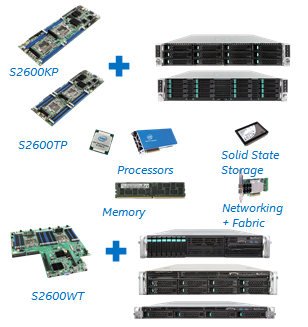 The Intel® Server Products for HPC Compute Blocks embodies Intel Scalable System Framework and captures the innovations taking place in compute, fabric, storage and memory in a building block optimized for HPC environments. 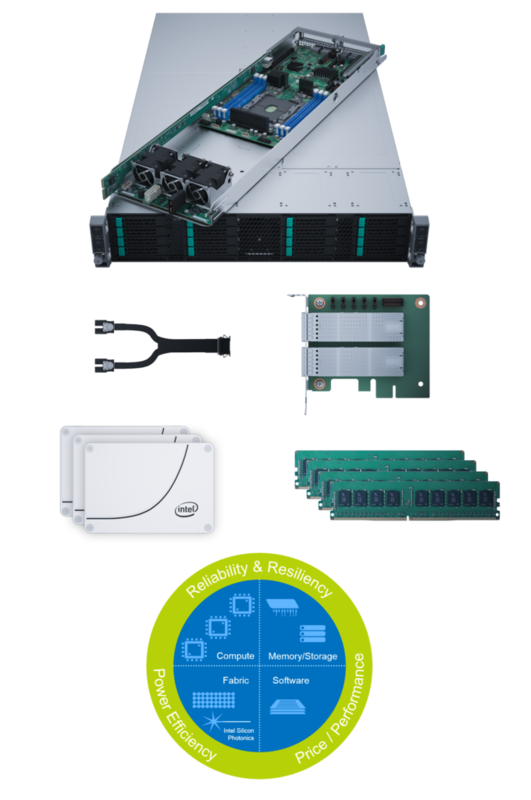 The HPC Compute Block is a high quality, cost-effective, build-to-order server building block that features Intel’s most innovative technologies, worldclass validation, warranty, and support. Intel Server Products for HPC Compute Blocks are build-to-order, fully-validated, cluster-ready building blocks, optimized for HPC workloads. 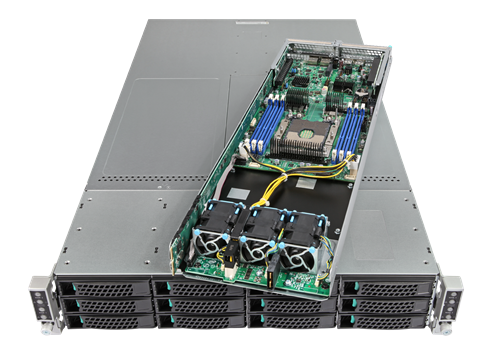 They consist of a 2U rackmount chassis that holds four independent servers with each server populated with high performance Intel® Xeon processors, Intel® Xeon PhiTM coprocessors, memory, Intel® SSDs and Intel’s high-speed, low-latency network products. Built with Intel quality and world-class design, manufacturing and support, the HPC Compute Blocks deliver an easier path to reliable HPC solutions. 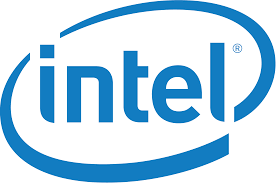 The Intel Server Products for HPC Compute Blocks feature Intel Xeon Phi coprocessors which complement the industry-leading performance and energy-efficiency of the Intel® Xeon® processor E5 family to enable dramatic performance gains for some of today’s most demanding applications. Each coprocessor features many more and smaller cores, many more threads, and wider vector units. The high degree of parallelism compensates for the lower speed of each individual core to deliver higher aggregate performance for highly-parallel code. Intel continuously delivers leading edge technologies to help you innovate and differentiate in the market. Contact your Intel authorized partner, Sentral for all inquiries.